ISLAMABAD: The Semi-Finals of the Serena Hotels-Huawei International Squash Tournament for Men were played today – 09 April, 19, at Mushaf Squash Complex, Islamabad. The finalists are: Farhan Mehboob (Pak) and Mohamed ElShirbini (Egy). The final will be played on 10 April, 2019 at 15:30pm. 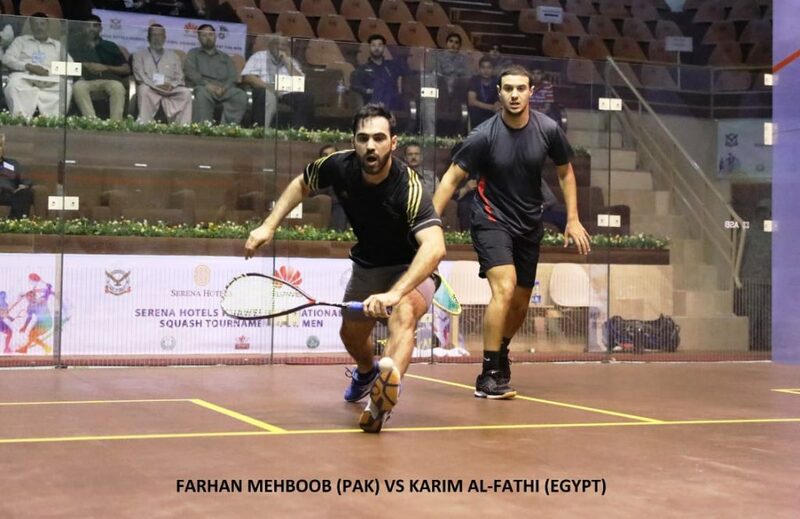 In the 1st Semi FinalWorld No 72 Farhan Mehboob (Pak) bt World No 46 Karim Ali Fathi (Egy) 5-11, 11-9, 11-9 and 11-5. The match lasted for 38 Minutes. 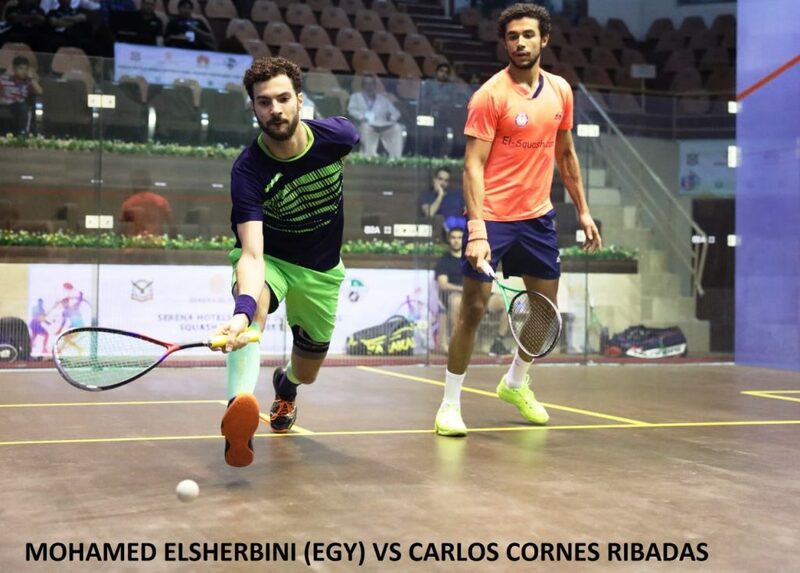 In the 2nd Semi Final, World No 74 Mohamed ElShirbini (Egy) bt World No 81 Carlos Cornes Ribadas (Esp) 11-9, 13-11, 11-3. The match lasted for 39 minutes. The tournaments final & closing ceremony will be held at 15:30pm on 10 April, 2019. Serena Hotels-Huawei International Squash Tournament for Men is being played at Mushaf Squash Complex, Islamabad from 06 – 10 April, 2019. The tournament carries a prize money of US$ 20,000/- and apart from 11 Pakistani players, a group of 13 international players from Belgium, Egypt, Germany, Hong Kong, Ireland, Kuwait, South Africa, Spain and Zimbabwe are playing. Serena Hotels and Huawei as the main sponsors.